Membership in the Association is open to anyone interested in the Class upon the payment of annual dues of $10. 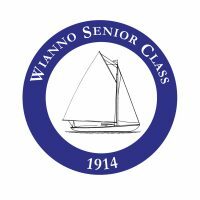 Voting at meetings of the Association is restricted to one vote for each Wianno Senior enrolled in the Association, regardless of the number of owners or crew members associated with such yacht who are members of the Association. The affairs of the Class Association are managed by a Board of Governors currently consisting of nine members. Governors serve three-year terms, with one-third of the Governors being up for election each year. A more detailed description of membership and government matters is set fourth in the Constitution and By-laws. Fallon, William J. & Susan H.